Evan White is the founding Executive Director of the California Policy Lab at UC Berkeley. His career in public service has been dedicated to synthesizing complex information to solve hard policy problems. Prior to joining CPL, he served as a Senior Advisor to Richard Cordray, the first Director of the Consumer Financial Protection Bureau. During his tenure at CFPB, Evan led initiatives on a broad portfolio of issues ranging from fintech and consumer lending to debt collection and financial empowerment. Evan’s expertise also centers on housing and discrimination policy and he served as Director of Fair Housing for Project Sentinel, northern California’s largest fair housing nonprofit. 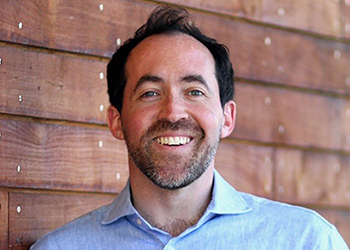 Evan holds a joint degree in Law and Public Policy (JD/MPP) from UC Berkeley, during which he clerked for the California Supreme Court, the Civil Rights Division of the Department of Justice, and the White House Office of Management and Budget. He holds a BA in Political Science and Africana Studies from Vassar College.